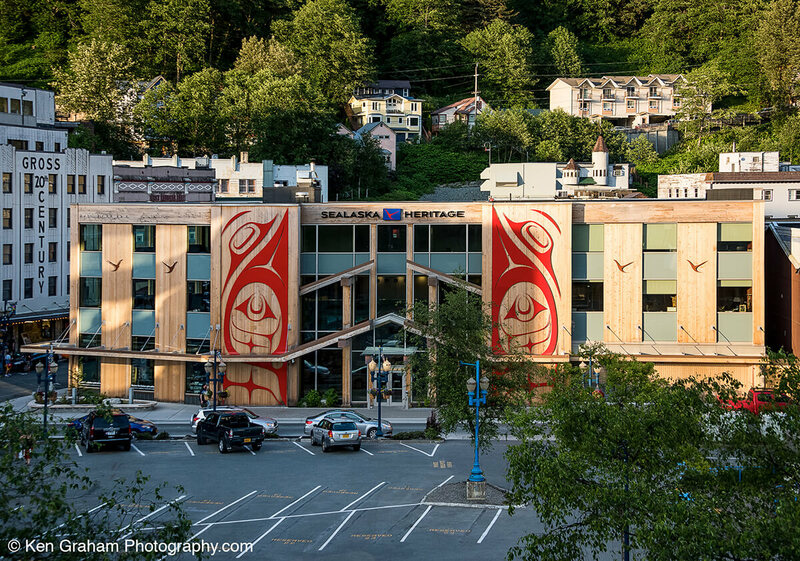 Named in honor of venerated community elder Dr. Walter Soboleff, the new cultural center for Sealaska Heritage Institute holds a prominent central setting in downtown Juneau. 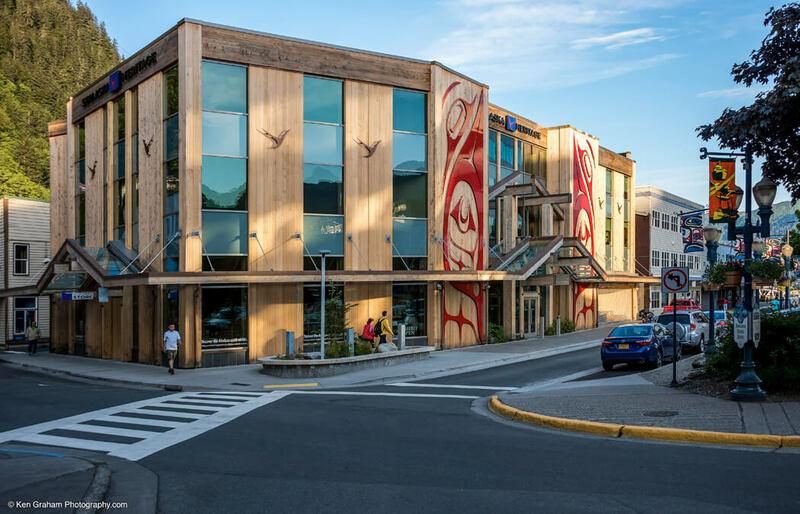 The three-story facility serves as a research and cultural center, with a focus on promoting Tlingit, Haida, and Tsimshian cultural traditions of Southeast Alaska. 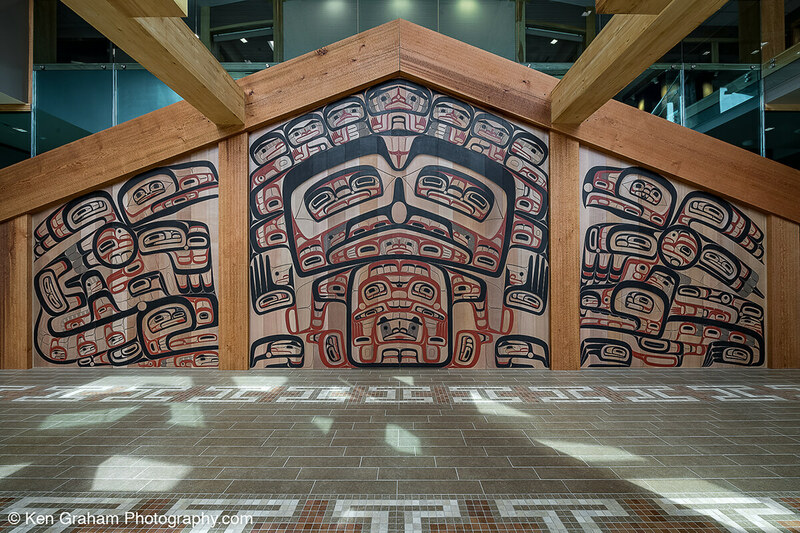 Primary spaces include an uplifting public foyer, a traditional ceremonial room, museum exhibit hall, gift shop featuring Native artisans, learning center, administrative spaces, and climate-controlled archive/museum facilities. 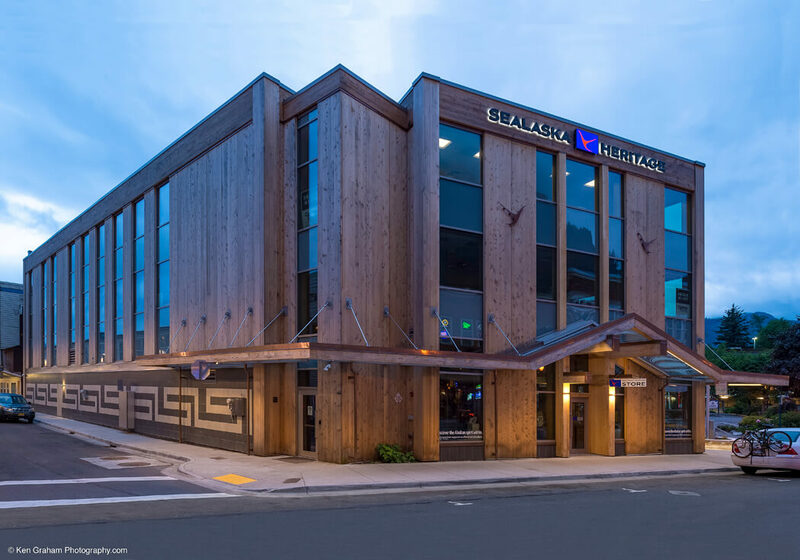 The building design, recipient of Alaska’s top design awards, reflects a modern building that draws from traditional cultural influences, including evocative native clan house forms. 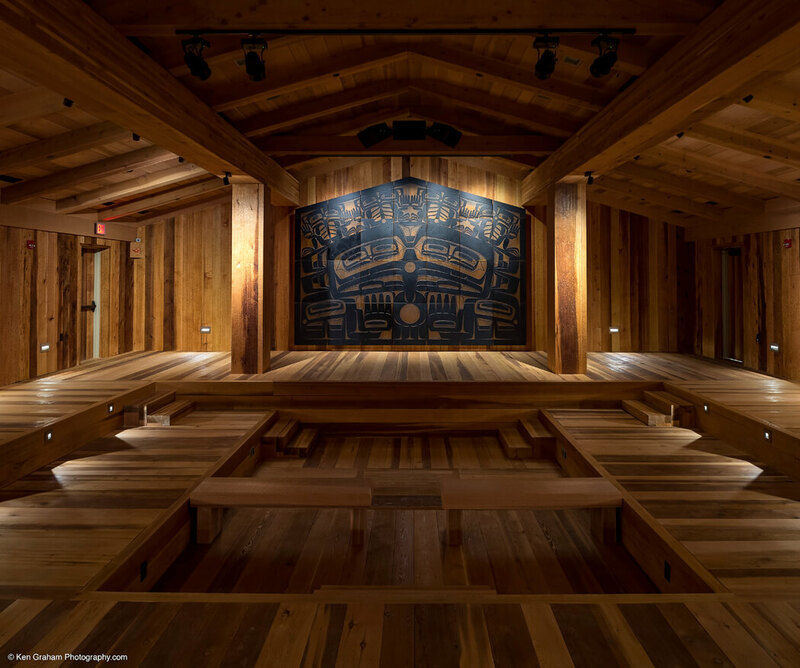 The building is 100% clad in heavy yellow cedar planks from the surrounding forest, drawing from the building tradition. 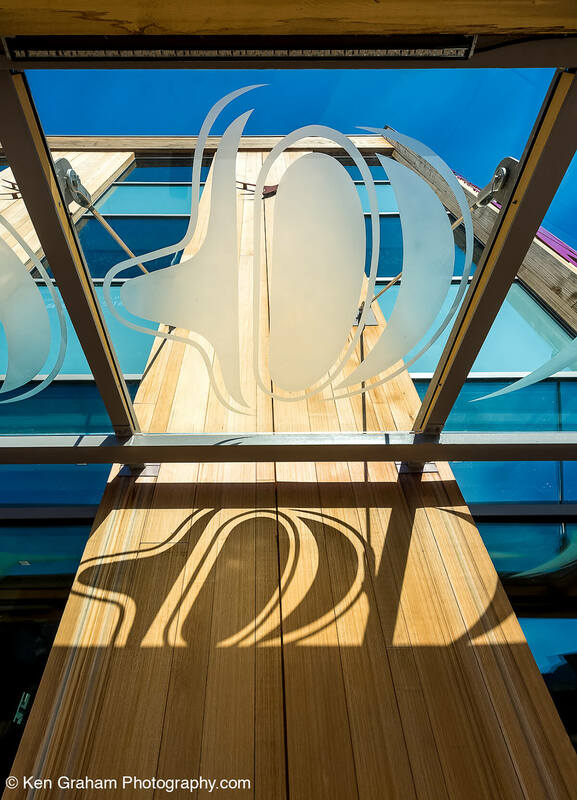 The building provides a canvas for the incorporation of many works of art, produced by the finest Native artisans of the day, including the Robert Davidson metal panels flanking the primary entry. 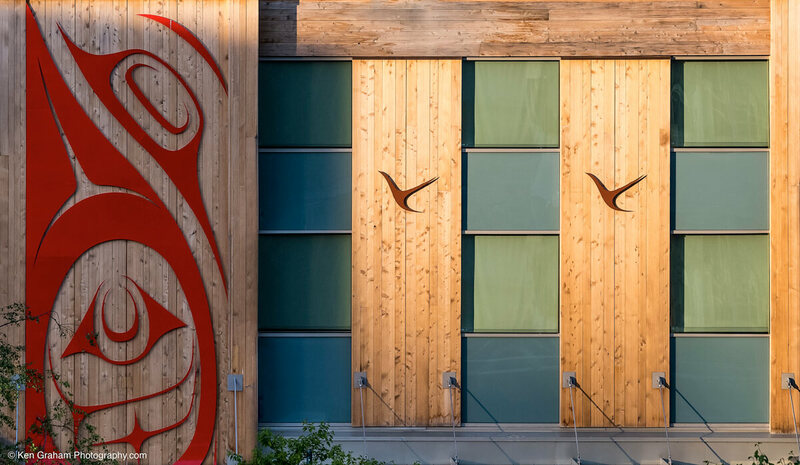 The building was designed from the outset to reflect the highest principles of sustainability – not as a new trend, but reflecting the 10,000 year cultural tradition of living sustainably with the forests and waters of Southeast. 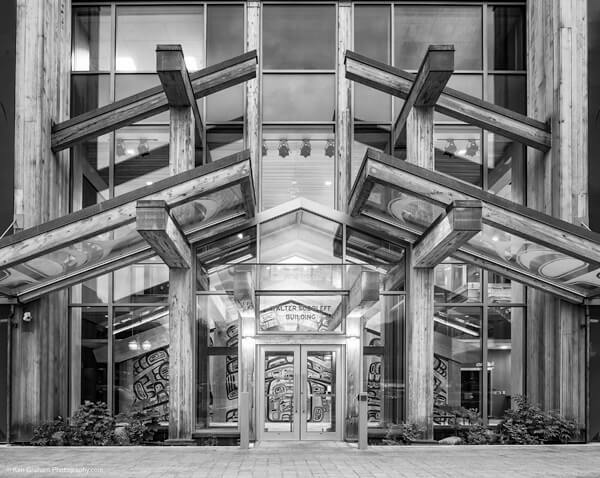 The building is on track for LEED-Gold certification.